Our Pet funeral home and cremation center is independently owned and operated. Conveniently located in the heart of Melbourne. We have been nationally recognized for our exceptional service and honorable treatment of pets and our trained professionals are exceptionally caring and kind. We utilize the industries most modern equipment, technologies and procedures in the area. We care for your pet companion the same way we would treat any other member of your family. Pet Passages is fully committed to helping families say goodbye to thier pet in a loving and dignified manner. 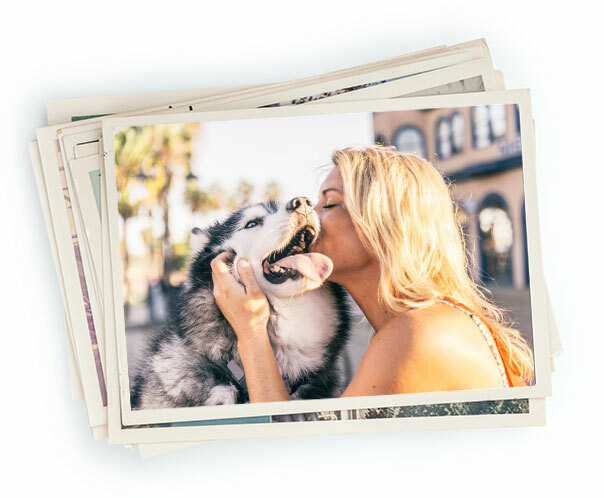 “To me, there is no greater responsibility than honoring and preserving the story and memories of a families beloved pet.” Mike Harris – Founder, President and Owner of Pet Passages. 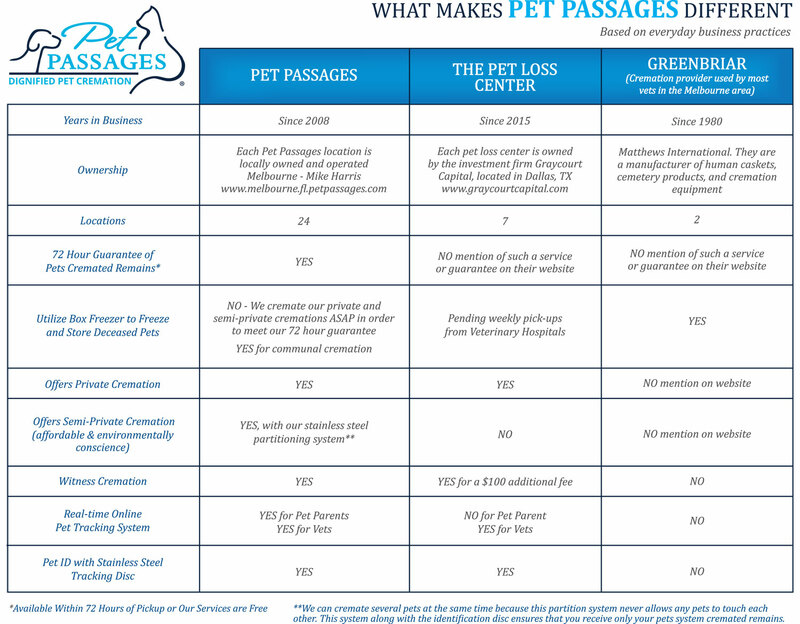 To help all pet parent’s understand the differences between pet cremation facilities that serve Melbourne we have created the following comparison chart. Pet Passages believes that it is very important for pet parents to have a choice when it comes to thier beloved pet’s after life care and more importantly we beilieve you should know a pet crematory’s background, ownership and location. This is why we post the comparision chart above. In addition, you will find a few links to articles and infomation about pet cremation facilities that serve the Melbourne, FL area as it is our true hope to help educate our community when it comes to such an intimate and sensitive service.